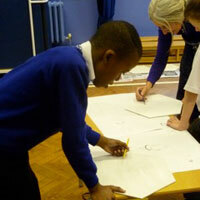 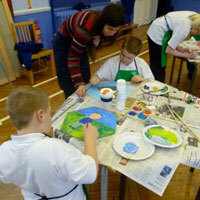 The theme for Godwins Primary School was to depict the different activities that take place at the school. 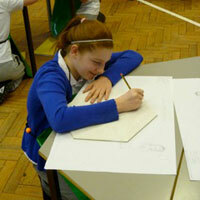 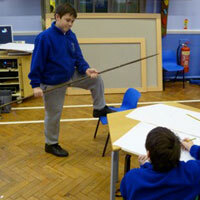 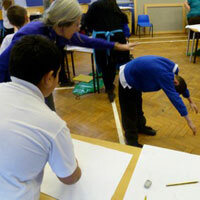 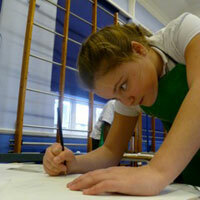 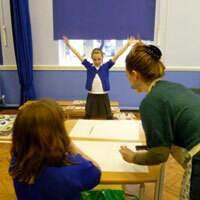 Pupils took it in turns to model for their partners in the poses necessary to depict things. 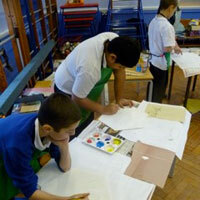 This was good for observational drawing development and teamwork. 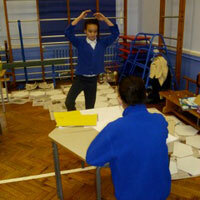 Next they transferred their design onto their wooden hexagon. 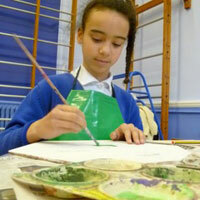 When they were all ready to begin painting they were shown the colour wheel, with harmonious colours (close to each other on the colour wheel) and vibrant and jumpy opposite colours (opposite each other on the colour wheel). 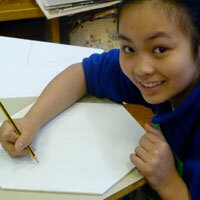 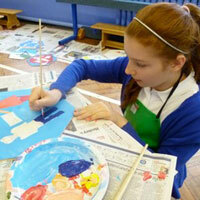 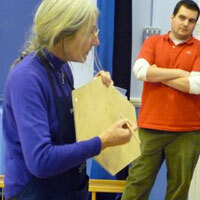 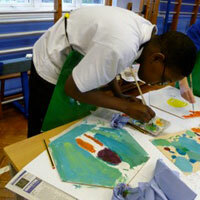 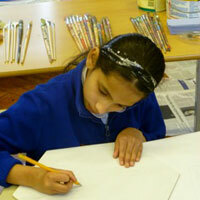 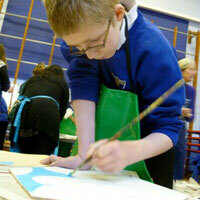 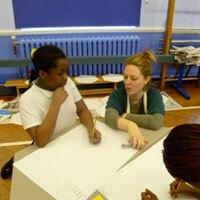 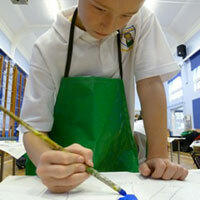 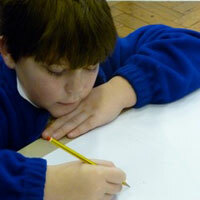 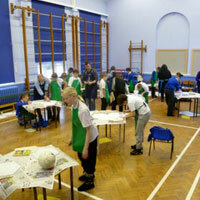 Pupils then mixed their own tones and hues and painted their designs over two sessions, over two days. 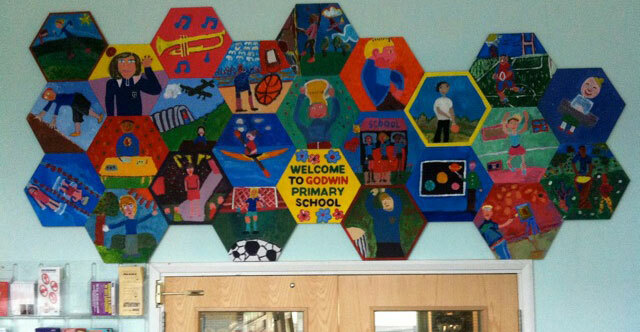 The resulting hexagons transformed the entrance to the school and is very colourful and unique to Godwin Primary School, welcoming everyone every day. 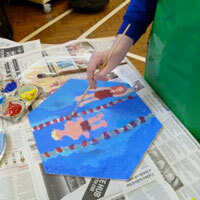 "The pupils thoroughly enjoyed working on their hexagons and were incredibly excited to see their work so professionally displayed, welcoming visitors for many years to come."